Our client needed to simplify their reporting processes in running commission reports. This was not your typical, straightforward commission report. They needed to calculate the margin by subtracting the company cost of the item from the sales price. Then, they had to calculate the commission percentage based on the margin. In addition, any credits that occurred during that month needed to be deducted. If that wasn’t enough, they added another variable to only calculate commissions on paid invoices. We looked at the multiple reports in QuickBooks and found that there were no reports available to meet the needs for our client. The workaround was to create an excel spreadsheet with formulas and manipulation of the data to get the answers the client desired. Complete Business Solutions suggested to the customer that Joshua set up their Advanced Reporting that comes with QuickBooks Enterprise 2015, the solution needed to solve the customers reporting. This new feature has the capability to customize reports and put the information at their fingertips. The templates save significant time and are auto-filled with your company’s live data to spare you the manual entry, as well as eliminate manual input errors. In order to customize the client’s complex commission report, Joshua reached out to QuickBooks Enterprise Support, and also scheduled a one-on-one training with the programmers to ensure that the variables would work as intended. Together, they were able to create the report using the variables that the client requested. Recently, the QuickBooks ProAdvisor® Program released a new certification for QuickBooks Enterprise. Joshua completed the advanced course, which offered training and certification designed to empower the ProAdvisor with knowledge on advanced reporting, advanced inventory and advanced pricing. Joshua’s experience with advanced training and Enterprise support, along with his love for excel, allowed him to be able to complete the setup of this report. With the support team, he created the template in Advanced Reporting. Now that the template has been built, all the client needs to do is pick the date range and then click “XL.” It’s that easy. They get all the information they need to process commissions in their new report each month. For companies who have reporting issues or a tedious process on their hands, we encourage them to research the options available within Advanced Reporting. 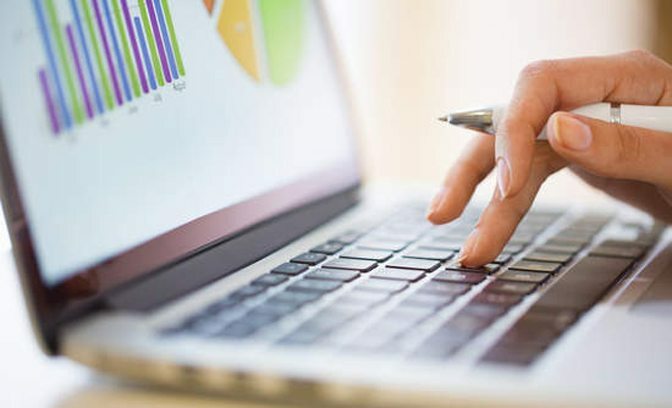 The functionality for customizable reports will open up doors for clients to be able to gather valuable data to unveil insights into their business, as well as help make more informed business decisions. The bottom line here is that Advanced Reporting is a remarkable tool that can take reporting to another level. QuickBooks Enterprise offers free U.S. support, and the customer service is excellent. The support teams are very helpful, polite and respond quickly to all of your questions. Note: Check out the QuickBooks Advanced Reporting Learning Center and the QuickBooks Advanced Reporting User Guide for helpful information. This is also another opportunity for a QuickBooks ProAdvisor to become proficient in creating customized reports for their customers that have QuickBooks Enterprise 2015. Just as Joshua did, they will find that the support team is an excellent resource in guiding them as they are learning the product to solve the customer’s needs.